Where are the hotspots for property in Italy? Owning a property in Italy is a dream for many of us, whether it’s a rural Tuscan farmhouse or a historic apartment in the centre of Rome or Florence. The property market in Italy is still looking accessible to buyers, but prices are slowly rising – so now is a great time to purchase. The Italian Statistical Institute, called Istat, estimates a 0.1% drop in Italian property values in the first quarter of 2018 (January, February, March) compared with the previous quarter. Compared to the same period in 2017, that’s a 0.4% drop. The price of “resale” (i.e. not new) homes continues to fall slightly, particularly properties in the Italian countryside, with estate agents recording average price reductions of 1.2% in the first quarter of 2018. 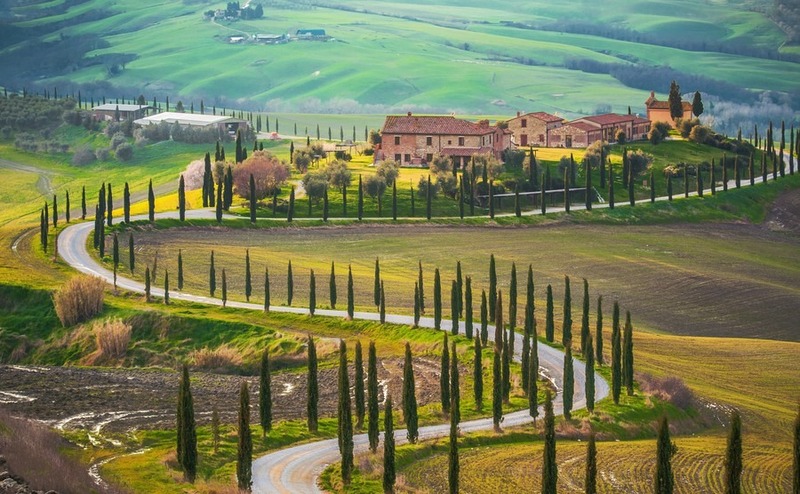 Property in Italy in popular locations like Tuscany is rising in price. However, the most desirable locations and cities are starting to see price increases on resale properties. So this year could be a fantastic time to invest in property in Italy, while prices remain affordable. Prices have risen by 6.1% in the increasingly popular city of Turin, in the northern region of Piedmont. Milan and Florence are both up by 2.3%. Naples also closed the quarter slightly up. However, the most desirable locations and cities are starting to see price increases on resale properties. This means this year could be a fantastic time to invest in property in Italy, while prices remain affordable. The beautiful town of Lucca in Tuscany is becoming one of Italy’s hotspots, with prices up by 5.9%. Bologna, Rome and Venice have remained stable and continue to be popular with international buyers. Across the country, the average price of new homes has also risen slightly, by 1.3%. Don’t get ripped off! Read our free guide, How to Negotiate Abroad. Negotiating effectively but fairly should get you a little more property for your pounds. Why do price trends differ across Italy? The location, season and condition of the property all affect the quarterly pricing. For example, in the regions of Piemonte and Trentino Alto Adige, which are famous for their winter sports, property prices rose in the first quarter of 2018. On the other hand, regions that have been affected by earthquakes have seen the biggest price reductions. These include Marche (-2.9%), Umbria (-2.3%) and Abruzzo (-1.9%). However, they are still attracting a lot of interest from buyers who enjoy the mountain scenery but are on a lower budget. 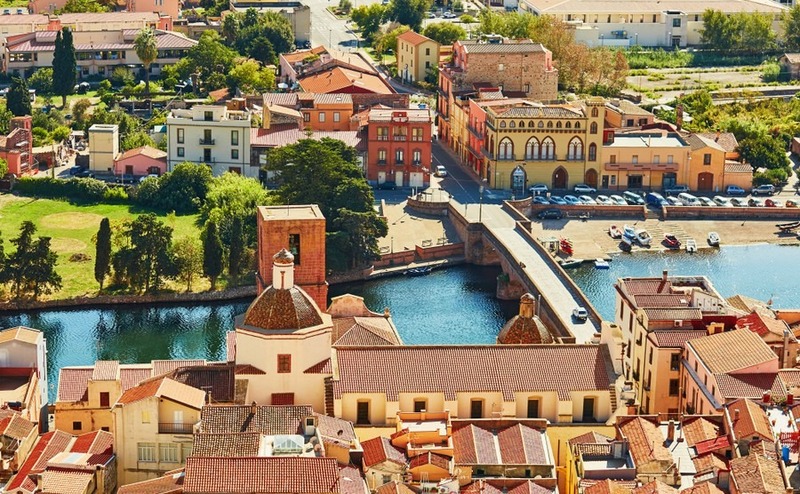 Top locations such as Venice, Florence and Bolzano are still the most expensive places to buy property in Italy, as are Tuscany and the Italian Lakes. Italian society has gone through some changes in recent years. Couples are having far fewer children than in the past. In most cases they are having just one or two offspring, who they encourage to stay living with them. Often, Italian youngsters will live with their parents well into their thirties. Then, as older family members die they inherit their apartments. This situation means there are fewer young first-time buyers of property in Italy. The ones that do want to buy are looking for apartments in town and close to their work. This results in the depopulation of small villages and in the countryside. Other young adults are deciding to move away to attend university and then to find work abroad or in Italian cities. The remaining aging population no longer needs large family homes and so is reluctantly deciding to sell them. It has been a slow process of realisation for many Italian property owners, who have been slow to accept that their property isn’t worth as much as they had hoped. Large properties are not in great demand among locals, so it’s overseas buyers benefiting from the lower prices. These bigger houses offer great opportunities for a sizeable property in Italy that could potentially give them an income with rentals, for example. Many spacious homes convert well into B&Bs, hotels, and rental accommodation. There are a number of overlooked locations for property in Italy, including Sardinia. Farm houses with land are also cheaper to buy now. The older generation, who have worked the land all their lives, begin to realise that their grandchildren aren’t interested in taking over the farm. With an increase in the tax on second homes, those who have inherited a countryside property are now trying to sell. This has resulted in many more low value properties coming on the market and sellers having to lower prices to get a sale. Countryside properties are a great buy right now and there are many opportunities to purchase farm buildings requiring renovation. While house buyers are seeing property prices rise, in Italy many foreign and Italian buyers have made the most of the opportunity to buy an Italian home while they are still at favourable prices. The number of property sales are picking up, with Italian notaries recording a 3.7% increase in sales of residential property in 2017, compared to the previous year. As there are plenty of available properties for sale, it is a buyers’ market, so it is worth negotiating. On average, sellers are accepting offers 10-11% below the asking price – which is a very useful amount to keep in your pocket for paying the purchase tax. What kinds of property are in demand? In Venice and the Italian Lakes, buyers are seeking direct canal or lake frontage with those all-important views. The properties offer both lifestyle and rental possibilities. In the historic Italian cities people are looking for two or three-bedroom apartments. They generally want central locations that are ready to move into and are presented to a high specification. Read the Property Buyer’s Guide to Currency by our trusted partner Smart Currency Exchange to find out how to protect your budget from exchange-rate fluctuations. Finally, in rural areas, a stone-built farmhouse with some land, a pool and rural views of vineyards and olive groves appeals to many buyers seeking the Tuscan dream. If your budget doesn’t quite stretch to some of the more expensive locations, look further afield. There are still plenty of beautiful homes in neighbouring regions that are yet to be discovered. Emilia Romagna, Apulia, Sardinia, Piemonte and Basilicata are just some of the up and coming regions. These all have a lot to offer home buyers seeking a beautiful landscape, Italian culture and tasty local cuisine. 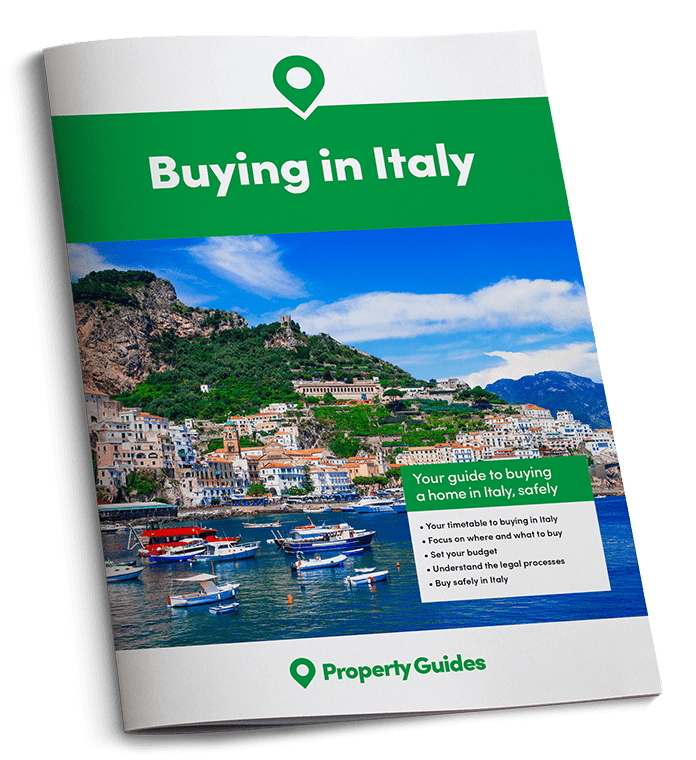 If you’re thinking about buying property in Italy in 2018, follow Italy Property Guides to keep up to date.